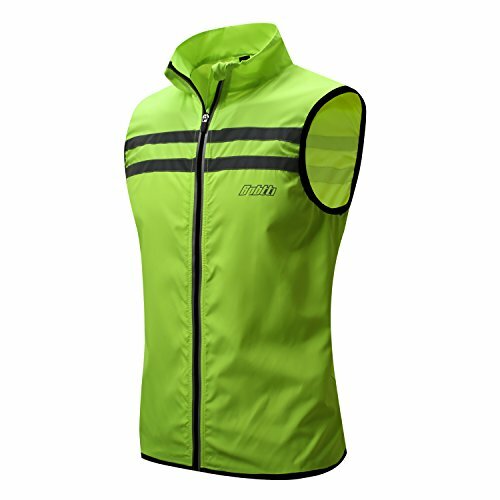 This basic bike vest is perfect for your daily ride. It can effectively stop the cold winds from sneaking up on you. The surface fabric can also repel small rains. Bright fluorescent color and sufficient light-reflecting tapes ensure you are highly visible under kinds of weather conditions and dark night, keep you safe from coming traffics. Sleeveless and super light design makes you can act freely and comfortably. This vest will be your essential gear for biking. About the size - Please see the size guide for the recommended size. All measurements are approximated and we strongly recommend you check your own measurements before you place the order. Or you can see other customers' opinions from the Q&A for reference. WIND RESISTANT and WATER RESISTANT - Made with wind/water resistant, odorless and comfortable material. Elastic bands are strategically put on the armholes and waist to seal out the breeze. The fabric surface is made with water repellent technology, it can repel the water. HIGH VISIBILITY - Hi-Viz yellow color with extra light-reflecting tapes placed on the front and back, enhance the visibility greatly. Make sure you can be seen from long distance or in low-light environment. It can make you safer when walking, jogging or motocycling along the road. THOUGHTFUL BACK POCKET - A thoughtful pocket on the back. You can stash cellphones, MP3 and other small items. LIGHTWEIGHT BUT DURABLE - The material is lightweight and rip-stop. It is thin but durable. The lightweight polyester fabric is laminated with a windstopper and water-rsistance membrane, keepping the wind out as well as repelling light moisture from dampening your upper body. 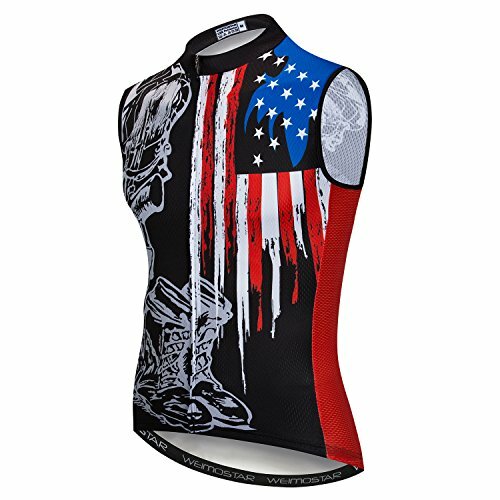 Full length zipper and sleeveless design maximizes ventilation. Reflective stripe around front and back keep you safe and visible to oncoming traffic in low-light conditions. 1 zippered rear pockets are set up to keep your energy bars and essential gears handy. Material: Acrylic Blend. The fabric is super soft and breathable. Skin-friendly to wear. 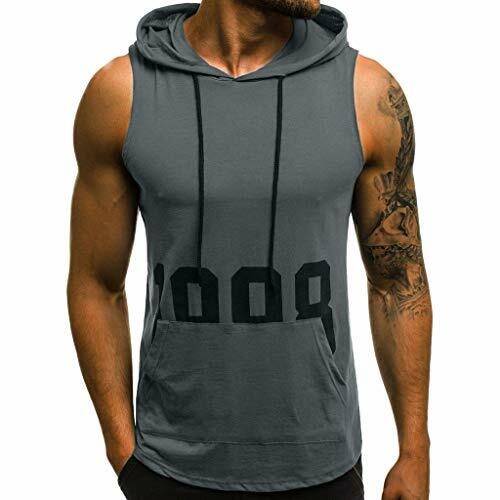 This amazing tank hoodie features solid pattern, adjustable drawstring at hood, sleeveless, kangaroo pocket, slim fit and more fashionable look. 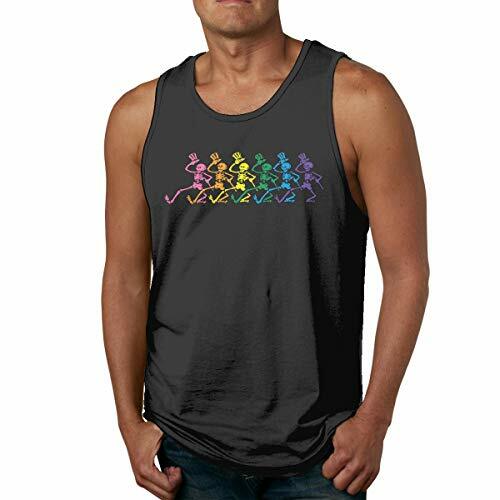 Occasion: This fantastic tank tops is perfect for working out, daily and casual. Put your body in a totally relaxed status and makes you look handsome. Material: Cotton Blend. The fabric is super soft and breathable. Skin-friendly to wear. 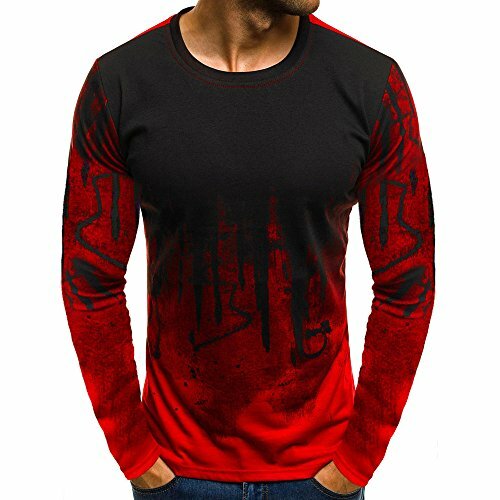 This amazing t-shirt tops features gradient color print pattern,classic crewneck,Slim fit,long sleeve design and more fashionable look. Occasion: This fantastic t-shirt is perfect for daily and casual. Put your body in a totally relaxed status and makes you look handsome. WOSAWE Classic style, Sleeveless Jersey keeps you cool in hot conditions and has all the basic features you need for riding comfort. Polyester fabric leaves your skin dry. Lightweight technical fabric with mesh side panels promotes rapid moisture-wicking, enhances breathability. 2 Reflective Tail Straps are extremely visible, keeping you safe and seen in low-light or dark conditions. 3 elastic rear pockets allow to carry essential gear, such as keys, smartphone, small bottle of water. 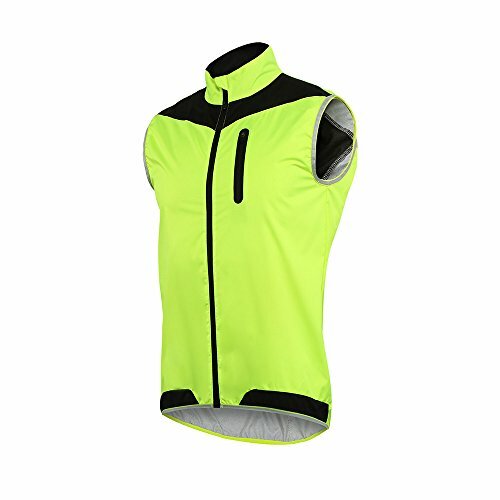 The OUTTO men's cycling vest is a perfect light shell as a warm layering on your cold morning ride and high visible reflective gear at night. It features lightweight fabric that blocks wind the water and can be stowed away in a pocket. Size runs small,choose 1 size bigger than normal size. Front 100% polyester fabric,windproof waterproof,back 85%polyester+15 spandex 4-way-stretch breathable fabric,keep you cool and dry. One zipper pocket for safe storage. 360 dgree reflective stripe keep you safe in darkness. The ELITE Barrier Vest is an essential layering piece that's ideal for variable temperatures, changing weather and undulating terrain. Lightweight and packable, it's made with Barrier Fabric for wind and water protection plus a large Direct-Vent back panel for added breathability. Pair it with arm warmers for a versatile system that's perfect for cool-weather rides. 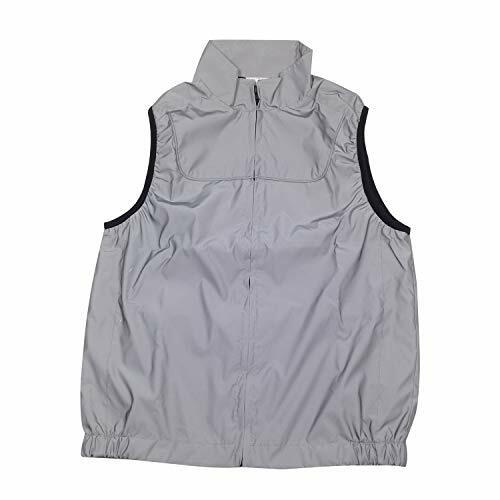 The Urban Cycling Windbreaker Vest, designed in the USA, is a lightweight breathable cycling gilet that incorporates night visibility reflective trim around the shoulders at the front, on the rear of the neck, and across the back pocket. The rear pocket transforms into a holder pouch for you to fold the jacket neatly into itself, to keep it compact. Underarm ventilation offers high wicking mesh fabric to allow flow of air. 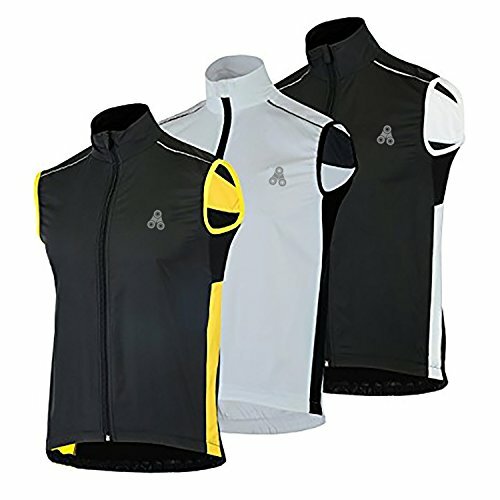 Chest Size: SMALL 39" MEDIUM: 41" Large: 43" XLarge; 45" XXLarge; 47"
The Thermal Pro Vest is made with breathability in mind. Castelli admits it's not as warm as their other thermal vests, as intended by design. It provides warmth for your core but omits a membrane to avoid trapping moisture or excess body heat during hard efforts. 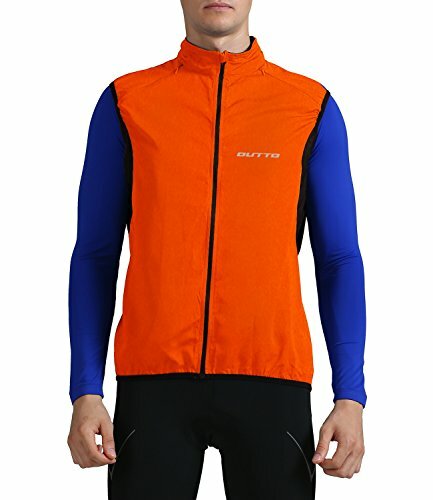 This makes it ideal for high-intensity workouts in colder weather, or just staying warm on a cool-temperature recovery ride. 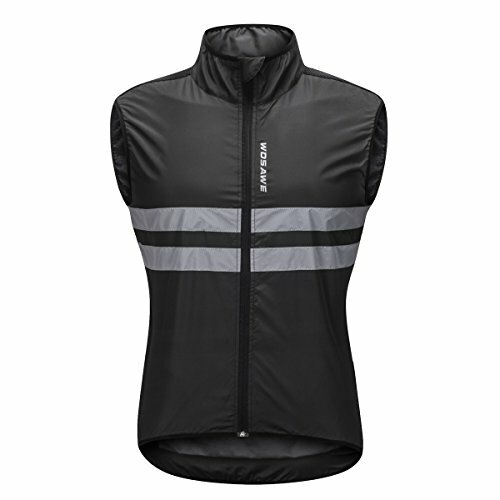 It's a favorite training piece of Castelli's pro riders when it's not quite cold enough for a windproof vest. 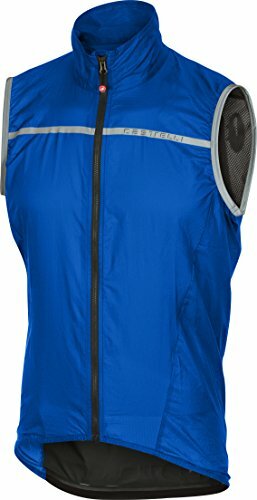 The vest uses Castelli's Warmer fabric throughout the garment to provide moderate insulation while preserving breathability and moisture management. During strenuous riding, the material wicks moisture to the outside of the garment to be evaporated, keeping you dry and comfortable for the entirety of your ride. It's a form-fitting piece with elastic grippers at the waist for a secure fit. 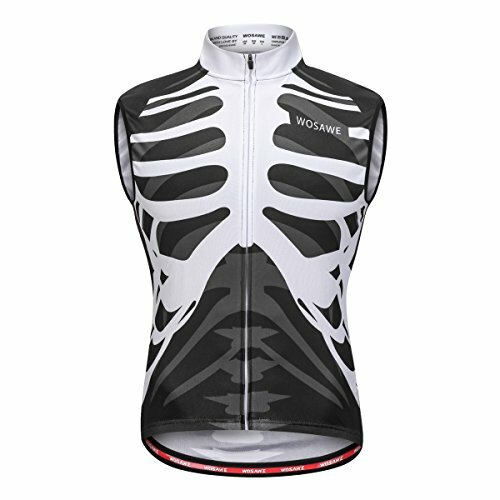 Castelli finishes the vest with three rear storage pockets, and reflective accents on the back to improve your visibility to road users during twilight hours. The Proviz switch vest is made from a dual-layer out shell that can be worn either way to give you two options, one for the day and one for night. Depending on which color you choose (yellow or black model) you have great flexibility. By night the reflective material lights up when vehicle headlights are shined upon it enabling the user to be seen more clearly on the roads at night, therefore enabling drivers to adapt accordingly to your position on the road. 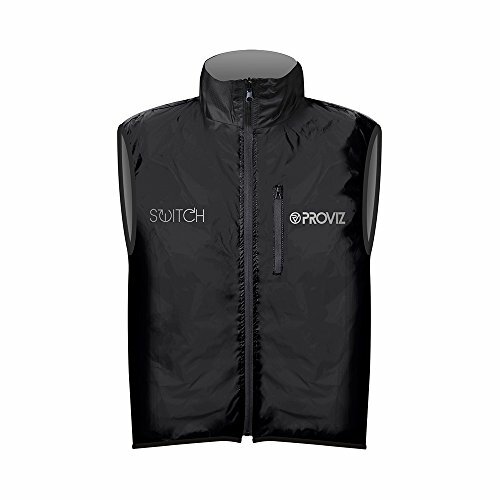 About the fabrics: the fabrics used for the switch range were chosen specifically to make the switch gilet extremely versatile. The reflective material used is the same as the incredibly popular REFLECT360 range and it is certified to CE EN 20471 standard. 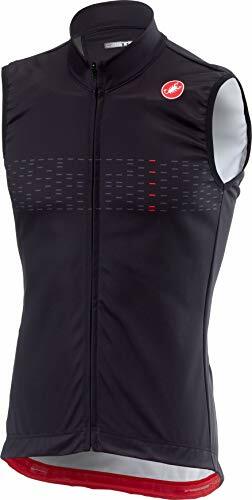 The Castelli Men's Superleggera Vest effortlessly travels in your rear jersey pocket, deploying when chilly breezes and passing showers threaten to leave you cold and wet. It fits closely to eliminate annoying flapping at higher speeds, yet it still allows room to layer properly in cooler seasons. Reflective hits along the front and back keep you visible to oncoming traffic in low-light situations. Pertex Quantum is smartly placed along the body, blocking whipping winds from stealing precious body heat, as well as repelling light showers from dampening your upper body. Breathable mesh panels keep you cool on extended climbs and high-cadence efforts alike. Along the rear panels, the Stretch Torrent insert offers waterproof protection from oncoming weather without sacrificing its body-hugging stretch. It has the impact resistance of strong, good flexibility,well wear resistance characteristic. Details: New high quality tight fabric material which is very light but with good flexibility. Moisture absoption and quick-drying.Full zipper maximizes ventilation. 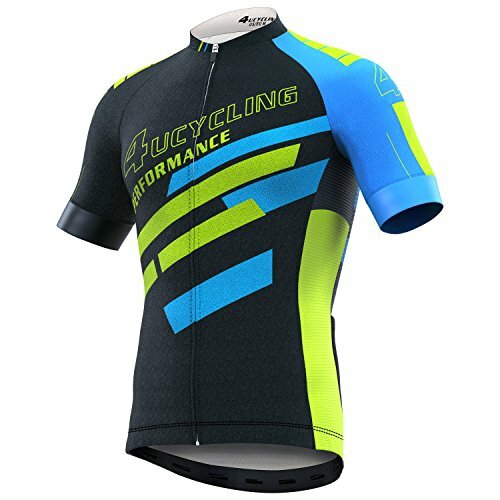 Huamn body design technology make it more comfortable as you riding in the jersey . Printing with environmental protection digital ink, washing will not fade. Size Tips Our size is asian size which may be 1-2 size smaller than US or EU; Usually buying one size up will be OK, please view the size chart image before ordering. Back Reflective Reflective strip at the back to ensure night riding safety. Good Zipper Use High Quality Zipper ,Not Easy To Damage And Rust Smooth. 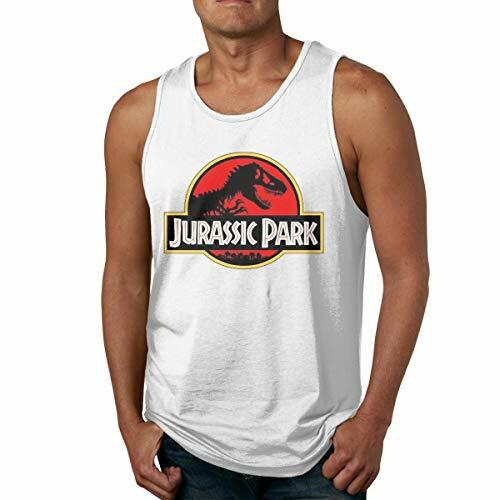 JChesterton Jurassic Park Men's T-shirt Is A High Quality Tank Top With A 100% Cotton. Suit For Many Occasion. For Better Shopping Experience For Customers, Please Recognize Jocelyn Chesterton. Other Sellers Are Fake Commodities And Our Store Is Not Responsible. Soft Material Keeps You Comfortable. Can Be A Gift For Your Family Or Your Friends. Please Purchase This Item From Jocelyn Chesterton. 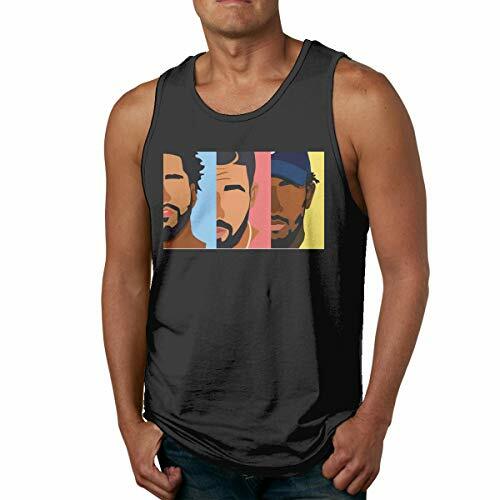 JChesterton Drake, J Cole, Kendrick Lamar Men's T-shirt Is A High Quality Tank Top With A 100% Cotton. Suit For Many Occasion. 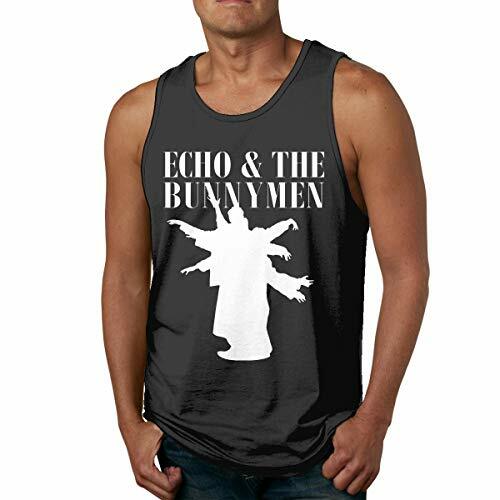 JChesterton Echo & The Bunnymen Men's T-shirt Is A High Quality Tank Top With A 100% Cotton. Suit For Many Occasion. JChesterton The Rolling Stones Men's T-shirt Is A High Quality Tank Top With A 100% Cotton. Suit For Many Occasion. JChesterton The Grateful Dead Logo Men's T-shirt Is A High Quality Tank Top With A 100% Cotton. Suit For Many Occasion. 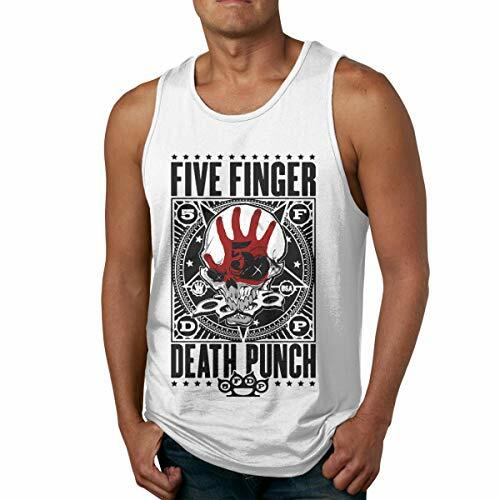 JChesterton Five Finger Death Punch Men's T-shirt Is A High Quality Tank Top With A 100% Cotton. Suit For Many Occasion. With Zipper---Easy to slip on and take off. JChesterton Grateful Dead Men's T-shirt Is A High Quality Tank Top With A 100% Cotton. Suit For Many Occasion. JChesterton Slayer Speed Metal Band Logo Men's T-shirt Is A High Quality Tank Top With A 100% Cotton. Suit For Many Occasion.